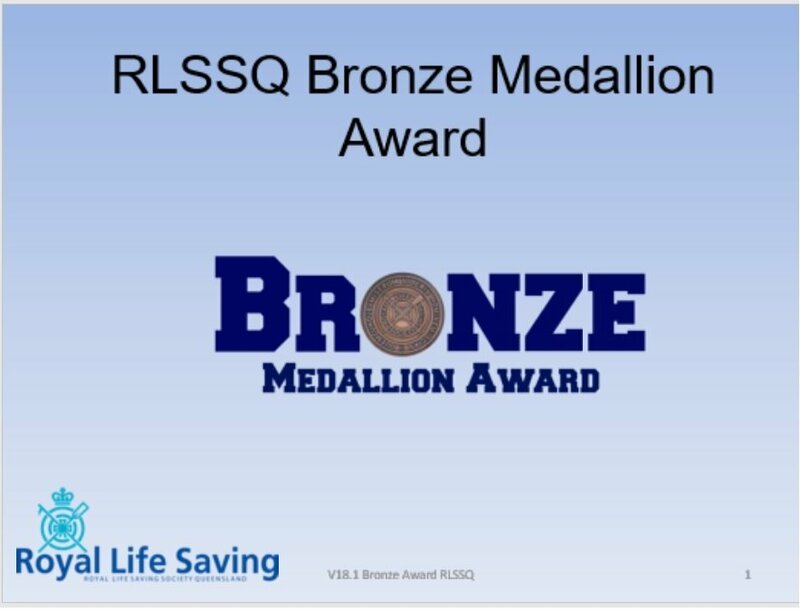 The Royal Life Saving Bronze Medallion is recognised as the minimum standard for a qualified lifesaver. This award also increases employment opportunities with many pools and aquatic centres as they require employees who conduct aquatic programs to have their Bronze Medallion. This course will enhance your personal survival skills while providing you with the knowledge and skills to develop the level of judgement, technique and physical ability required to safely carry out water rescues. The Bronze Medallion course offers a nationally recognised certification and has flexible delivery options to meet the needs of schools and groups. Flexible delivery – Self-paced pre-learning and classroom-based delivery. There is no prior learning required for full course enrolments. Update course enrolments require a current Royal Life Saving Bronze Medallion. It is recommended that candidates are 14 in the calendar year the attempt the course. A Statement of Attainment for the below Units of Competency from the SIS National Sport, Fitness and Recreation Training Package may be available. It is best to check with your local Royal Life Saving office about whether the course you are interested in is offering the vocational units.